The Turkish Government Is About To Find Out Why Bitcoin Is Not A Bubble!!! In an attempt to halt widespread allegations of corruption, Turkish prime minister Recep Tayyip Erdogan has shuttered Twitter – but so ineffectively that the number of tweets sent in the country has remained unaffected. The Washington Post reports,Turkey bans Twitter — and Twitter explodes. Of course, the Islamic leaning Aljazeera.com ‎ says "Twitter users ridicule Turkey ban". Turkish and global social media users have mocked moves by Turkey's government to restrict access to Twitter. The hashtags #TwitterisblockedinTurkey and #Turkey blockedTwitter became the top trending topics globally on Friday, just hours after the Turkish government imposed the ban. The number of tweets from Turkey reportedly rose by 138 percent as savvy Internet users, including the country's president Abdullah Gul, found it easy to circumvent the shutdown. "The whole world is laughing at you #ErdoganBlockedTwitter," users tweeted, as dozens of images mocking the ban - including one showing Twitter birds covering Prime Minister Recep Tayyip Erdogan's head in droppings - were shared on the platform. Another popular tweet shared a poster of the prime minister on a Barack Obama campaign poster with the message, "Yes, we ban". 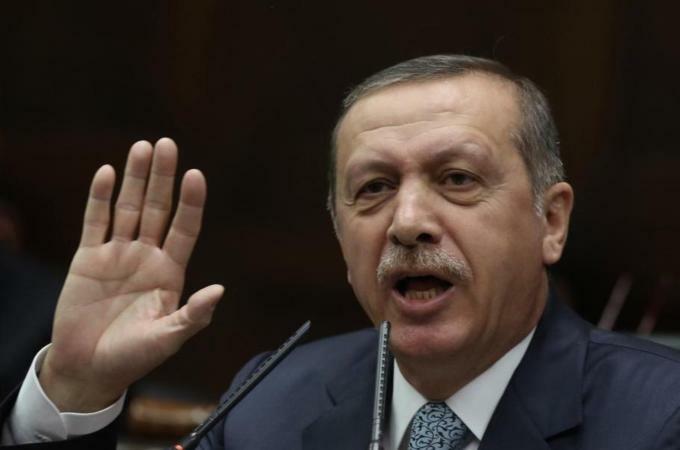 Erdogan on Thursday night promised to "root out" and wipe out" the social media platform after users published claims of corruption against him. Now here comes a quick education for the old fogey-type folk that declare Bitcoin is a bubble, ponzi scheme currency with no intrinsic value. If you recall my many videos that declare the value of Bitcoin is in the protocol, and not the unit of account that everyone is calling a currency, then you may realize that the Bitcoin technology can literally take the Turkish government down. Those that know the Bitcoin protocol well know that it is an ideal method of overcoming centralized control in regards to value transfer. Well, it's easily assumable that website data access is value transfer as well. If anybody in Turkey is reading this, then email me and I'll show you how to step around even Erdogan's Google DNS ban using the Bitcoin derivative known as Namecoin - A peer-to-peer, censorship resistant, alternative DNS root and data storage technology. Using that "tulip" technology with "no intrinsic value", Namecoin facilitates cryptographically secure decentralized name and data storage. According toWikipedia: Namecoin (sign: ? ; code: NMC) is a cryptocurrency which also acts as an alternative, decentralizedDNS, which would avoid domain namecensorship by making a new top level domain outside of ICANN control, and in turn, make internet censorship much more difficult, as well as reduce outages. Now, we all know that Krugman and Roubini and all of the not so technologically inclined macro economists may not believe that Bitcoin, et. al. has any intrinsic value, but if somebody like me led a "Coin" revolt in Turkey, do you think Erdogan would believe the economists or me in regards to the intrinsic value of this technology. If you think Namecoin can be disruptive to the status quo, you aint't seen nothin' yet. Wait until the launch of UltraCoin, when those little Haitain kids in shacks out trade the Goldman prop desk on that BTC/AU pair trade. I just love the smell of creative disruption in the air. These pics were taken after some training sessions in Port au Prince, Haiti this weekend.